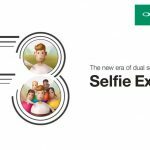 Leading technology brand OPPO has announced launch of its new dual selfie camera F3 Plus of F3 series across five markets including Pakistan. The official launch is going to take place on 24th of March 2017. The central feature of the smartphone is OPPO’s first-ever dual selfie camera, the “Selfie Expert” which can capture high-quality images in a 16MP main-camera and an 8MP sub-camera. OPPO is a leading global technology brand with consumers across the Americas, Africa, Europe, Oceania, and Asia with pioneering products that never fail to inspire and excite. OPPO, has a presence in 28 markets, and is the No.2 smartphone manufacturer in emerging Southeast Asia with 13.2% market share and the fourth-largest smartphone brand globally in 2016, according to latest reports from IDC. OPPO’s ‘Selfie Expert’ Series of smartphones – the F1, F1 Plus and F1s, contributed a lot to the success of OPPO which was sold out within hours of being launched in Pakistan last year.